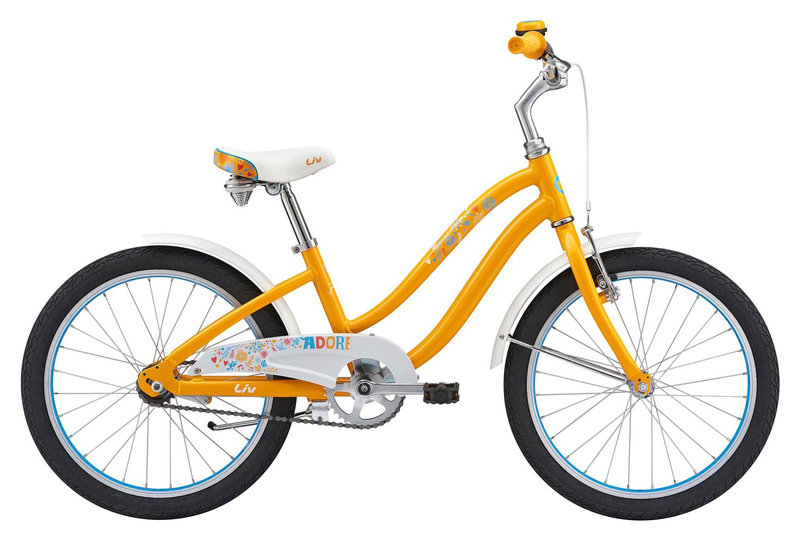 The Adore is a fun and safe way to start riding bikes. 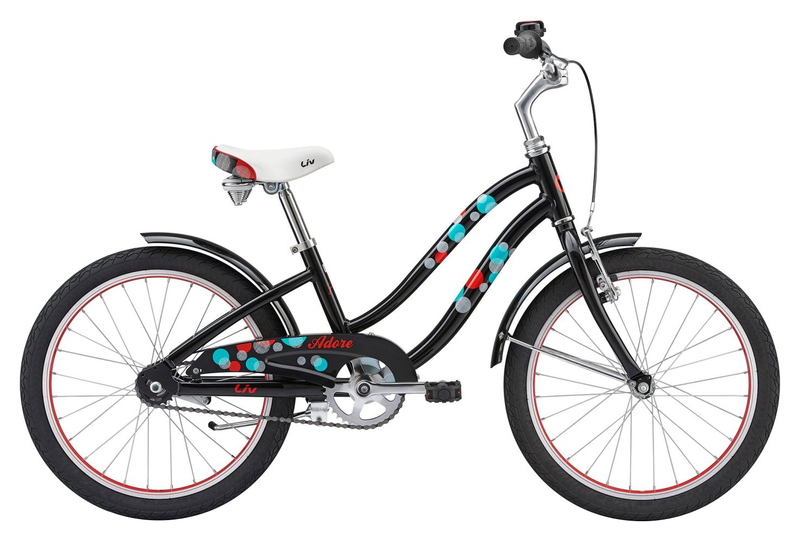 The fun colors and designs make this bike exciting for her to ride. The lightweight aluminum frame with a low standover height and a coaster and hand brake inspire confidence for a safe ride. A protective chainguard keeps clothing and fingers out of harm’s way. The smaller diameter grips on the Adore make for easy handling. Coaster brake and hand brake make learning to ride a bike fun and easy.